You’ll experience the RRK Properties difference when negotiating your lease because the father/son team of RRK Properties owns the properties they manage; they negotiate leases with the mindset of a Business Owner. You’ll find in contrast to a Leasing Agent, which may be driven by a short-term goal of obtaining a leasing commission and moving onto the next deal, RRK Properties prefers negotiating leases that benefit the landlord and tenant for the long-term. RRK Properties visits and inspects each of their properties on a continual basis, thereby allowing us to proactively maintain and improve the conditions of the building’s structure, landscape, and common areas. 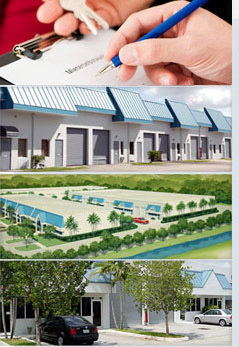 Light industrial warehouses, office warehouses and commercial properties in South Florida Website by Media Mascot.